Do you ever watch a movie, and feel like it could be in the same universe as other movies? Like the unique details of the world kinda match the unique details of another world? Some of these are more expanded universe than direct sequels, but they aren’t canon or addressed by the creators (so no 21 Jump Street with Men in Black). I’m gonna start off with some relatively easy, and get more complicated throughout the list. This one everyone’s heard of, so I won’t explain it too much. But here’s a graphic. This kinda doesn’t count, because people don’t realize that these movies are actually related in canon. Machete is the uncle of the Spy Kids, and Robert Rodriguez, the director for both, has confirmed that they are related. I just think it’s so cool! These three Disney movies have a loose thread storyline that many fans have enjoyed, once the Pixar Theory became popularized. 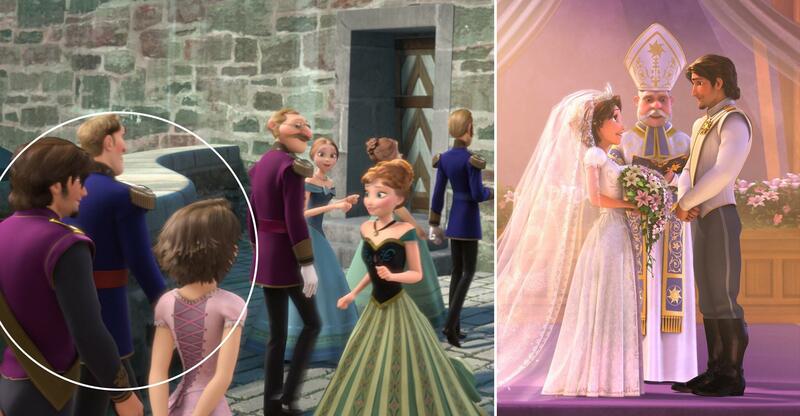 The King and Queen of Corona are about to have little baby Rapunzel, and so the King and Queen of Arendale (parents of Elsa from Frozen) decide to go to the celebration of an allying kingdom. What Elsa didn’t know is that the Queen was pregnant with a little brother. Unfortunately their ship got caught in a large storm, became very far off track, and sunk, with them being able to escape on a life boat which they couldn’t control. The “canary current” took them down to the shores of Africa, where they had their son, who would later be raised by apes. Later in life, Rapunzel and Flynn Rider arrive for the Coronation of Queen Elsa of Arendale. 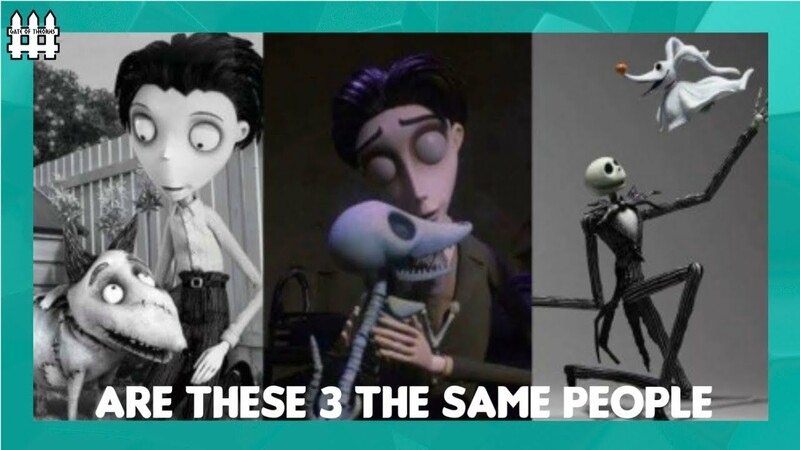 In this series of Tim Burton films, the idea is that they all revolve around the same guy in different stages of his life and afterlife, his pet dog, and later his love interest. In Frankenweenie, a young boy’s dog dies, and he learns science and brings him back to life. As he gets older, he realizes that he didn’t truly bring his dog back to life, as he becomes older and his dog’s body decomposes, until nothing is left but a skeleton. This lack of fear around the dead is what attracts the corpse that later becomes his bride in Corpse Bride. Once he dies however, only the spirit of the dog follows him to Halloween Town in The Nightmare Before Christmas. However his experience with Franken-science is what attracts Sally, the Frankenstein styled rag-doll. World War Z was far more popular, so we’ll start there. In it, we see zombies as fast running, who will literally climb over each other to crawl up a huge wall, or acting almost like a tidal wave of water as they barrel through hallways and city streets. As Brad Pitt begins his research, he learns that the first of the infection started in South Korea, but still isn’t sure what exactly caused it. Then in the South Korean film Train to Busan, it seems much more like the plot is focused on the first day of the zombie plague, as there are practically no clues that the apocalypse has started, until we actually see our first zombie. These zombies act and react in much the same way the WWZ zombies do, however we never see if TtB zombies avoid the sick or injured humans. I like to think that Train to Busan acts as a sort of prequel to the World War Z story. 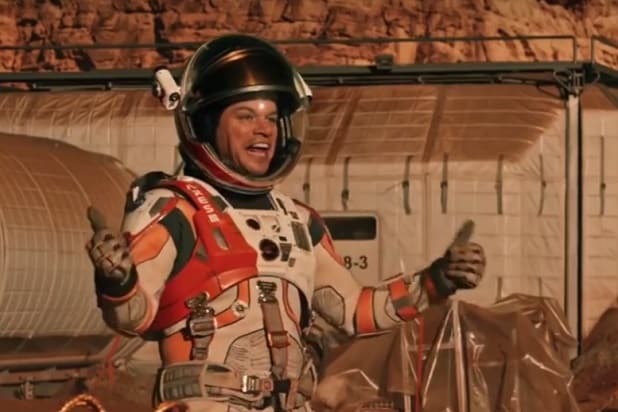 This one many people have noticed, since the films came out in theaters less than a year apart, and both feature Matt Damon as an astronaut stranded in space. The idea is that a few years after Matt Damon returns from Mars, he hears of a new space exploration mission, because the Earth is dying (we never really see the state of Earth in The Martian). With the confidence of a man who lived alone on Mars for over a year and a half, he decides he should volunteer for the mission. In the meantime, Jessica Chastain’s character Commander Lewis marries a fellow NASA pilot, Matthew McConaughey’s Cooper. Unfortunately she dies when her kids are young, and doesn’t get to see them grow up. Cooper becomes a farmer out of necessity for the planet, but still honors his wife’s memory by not only teaching his kids about the wonders of space, but also to accept this mission to find another planet. This is why Cooper’s daughter, Murph, looks just like Commander Lewis, both played by Jessica Chastain, because they are mother-daughter. Here we end on my favorite theory of all. In Ferris Bueller’s Day Off, we meet cool kid Ferris Bueller, and his less sociable best friend, Cameron Frye. The idea is that the stress of his senior year, and fear of missing out on the high school experience that his classmates have, cause him to lose his mind a little, and have an imaginary friend in Ferris Bueller. Ferris is who convinces him to skip school, steal his dads car, and go on the amazing adventure that takes place that day. Later in life, now Cameron (The Narrator) is older, has more or less fallen back into his boring life. Sure he got in trouble for his hijinks in high school, maybe even had a therapist for a while, but with the mental attention he needed, he seemed to be “fixed,” so he has stopped going to therapy. As he once again becomes disillusioned with the life he is leading, a new imaginary friend appears, this time named Tyler Durden. The film Fight Club shows their adventure from forming a fight club, all the way to creating “Project Mayhem.” With the gunshot at the end of the film, Tyler Durden is destroyed, but Cameron now stands and watches the explosions that he caused, finally taking full blame for them. Cameron, now in full psychosis, moves to the city of Gotham, because he knows that it is there that he can get the truest sense of people. In a city where the society has auto-cannibalized, a few choice moves can make the whole city fall, thus making it a symbol of the rest of humanity, and how he’s not alone. Of course, what he didn’t account for was a billionaire orphan who dresses as a bat. His experience with Project Mayhem is what allows him to pull off things like blowing up hospitals, bribing city officials, etc. 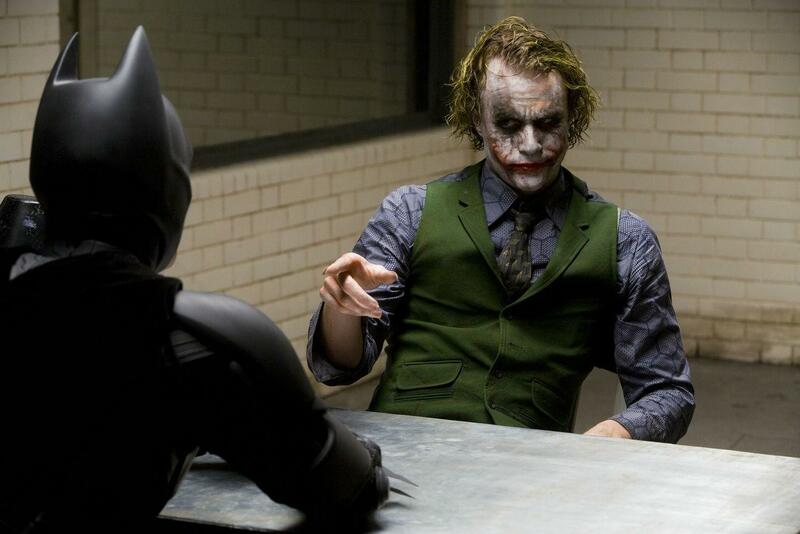 Cameron has become The Joker, and the events of The Dark Knight take place. What’s your favorite unofficial watching order of unrelated movies? Let us know in the comments below!